Cambridge University offers 6 places to ‘Shrewsbury International School Bangkok’ students. Shrewsbury’s university counselling recognised as best in the world at International School of the Year Awards. 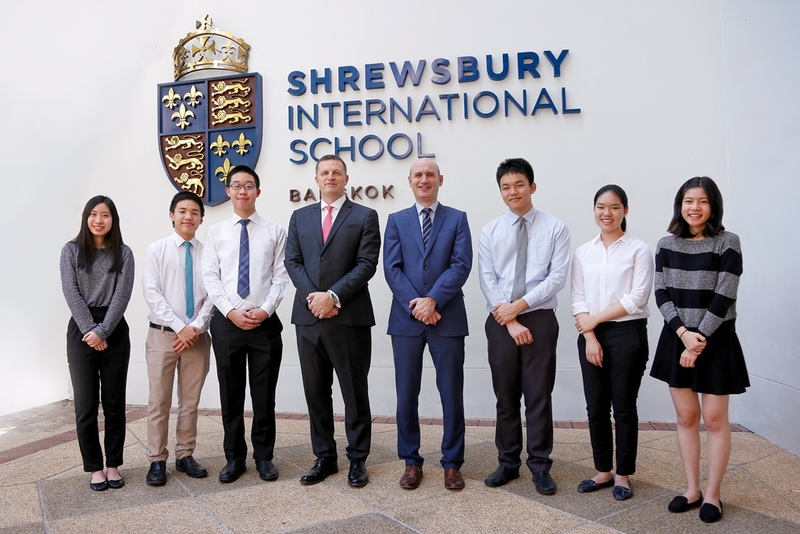 Bangkok (24 January 2019) – Mr. Chris Seal, Principal of Shrewsbury International School Bangkok – Riverside Campus, today announced that six Shrewsbury students have received offers to attend The University of Cambridge in England as well as one early offer from Stanford University in the United States of America with more Ivy League offers expected in the near future. The announcement comes in the same week as the school won an International School of the Year Award (‘Supporting Student Pathways to College/University’ category); an accolade that recognises the exceptional level of support that Shrewsbury students receive, helping them to achieve their university ambitions. Shrewsbury students have, in the past six years been offered 25 places at Oxford and Cambridge alongside other top UK universities. In the same period, Shrewsbury students have accepted places at top US universities and colleges including Brown, the University of Pennsylvania, Cornell, Tufts, Duke, Yale, Columbia, UCLA, Carnegie Mellon, Georgetown, Rhode Island School of Design, Wesleyan, Harvey Mudd, Pomona, Williams, and Bowdoin. Shrewsbury International School Bangkok students receiving offers from The University of Cambridge this year are Mr. Sithipont Cholsaipant to read Mathematics, Ms. Nerinat Yongphiphatwong to read Engineering, Mr. Chanop Sethiwan to read Engineering, Ms. Woramon Wattanawanitchakorn to read Economics, Ms. Pornchanit Sunyabhisithkul to read Economics, and Mr. Singh Atipunumphai to read Natural Sciences (Physics). Shrewsbury International School Bangkok accepts qualified students at all year levels and invites parents to meet the Principal and teachers at the school’s Riverside Campus as well as its City Campus to discuss the education options for their children.